animist grave in the caverns of the hill in the place called Tana Toraja. 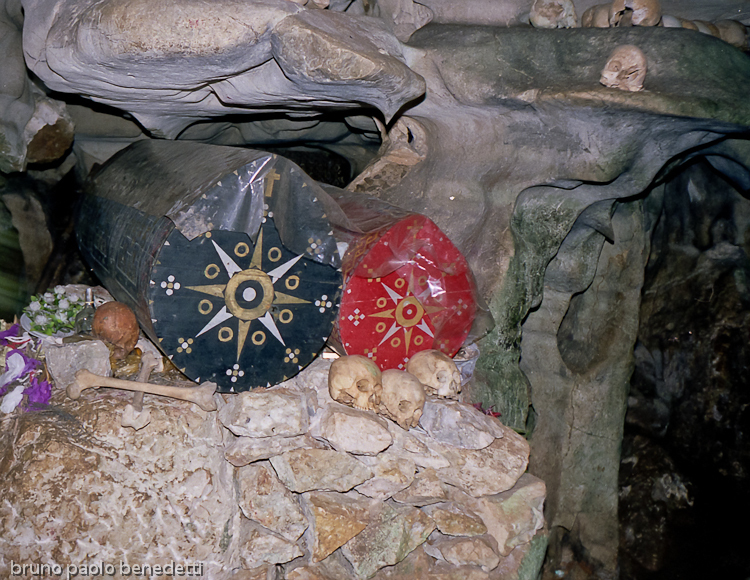 one black coffin and one red with bones and skulls as decorations. The symbol ofthe cross is also for Toraja animists religious symbol.Picture of travel.